Long ago, in a land far far away my sister, Rebecca, and I decided we would one day retire to the South of France. Rebecca was going to have a cherry red teardrop-shaped hairdo, and we were going to have young pretty boys to wheel us around in our chairs up and down the glitzy boulevards of South of France towns such as Monaco and Cannes. I still can’t think of a better way to retire – although now I’m planning to dye my hair grape and wear bright orange miniskirts with my chicken-skin knees hanging out. Sadly, however, not all daydreams are etched in stone. Things change. My sister and l both got married. The pretty boys will (probably) have to go. What? No pretty boys to go with my mansion? 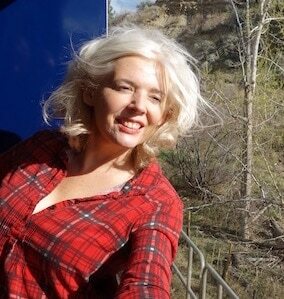 Even if we don’t all end up moving to the South of France, I’m not totally giving up the dream. These days I’m busy trying to convince my husband (by whispering in his ear at night and implanting a computer chip in his brain) that the French Riviera is his dream, too; that there are plenty of things to do in the South of France so he’ll never get bored; and that even if we don’t move there we should at least vacation there as much as possible. Of all the things that keep drawing me back to the South of France, the cosmopolitan feel is probably what I love best. The French Riviera is as sophisticated as any big city, with an international crowd, mega yachts to drool over, airport transfer desks where you can hop on a helicopter as easily as rent a car (St Tropez anyone? ), budget-blowing designer shops and Michelin-starred restaurants. To make it even better, all this jet setting elegance sits smack in the midst of a spectacular coastal setting – it’s the perfect marriage of hiking and high heels. No wonder Princess Grace left Hollywood. Almost every town in the South of France has been claimed by one great painter or another over the years, and one of the top activities in the South of France is to get out and explore them. 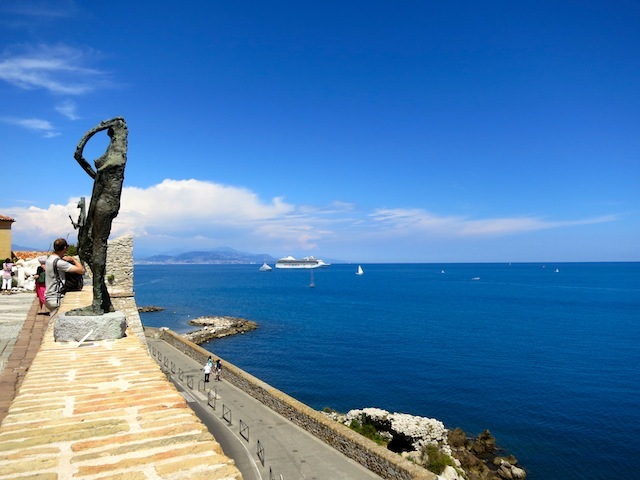 Some artists, such as Picasso, have even claimed two towns (Antibes and Vallauris). You’ve got Matisse in Vence and Nice, Jean Cocteau in Menton, Léger in Biot, Renoir in Cagnes-sur-Mer, Fragonard in Grasse, almost everyone in St Paul de Vence and moving farther afield into Provence, Van Gogh in Arles and Cezanne in Aix-en-Provence. If you’re interested in art, the South of France is truly the mother load of culture. It’s the luminous light that drew the artists, and which will draw you, too. That and the special joie de vivre the South of France inspires. And who doesn’t need more joie de vivre in their life? Did you know the South of France first became famous as a winter resort? Yes, it’s true. The coastal city of Nice was invaded by hordes of shivering British folk in the mid 1800s who flocked here in search of balmy winter temperatures. Nice is probably the number one place to visit on the French Riviera, and while things wind down in the off season, the bonus is that hotel prices go down. Best place on the French Riviera for beaches: Nice, Cannes, Juan Les Pins and ritzy St Tropez – and little Villefranche-sur-Mer gets a nod, too. Considering the beaches in Nice are quite rocky, their enduring appeal with the golden glam crowd is remarkable. Then again, with all the private beaches, accessible for a fee, you can rent a lounge chair, hide under a beach umbrella, sip a martini and never have to touch those pesky pebbles at all. You’ll also find public beaches in popular Riviera beach destinations such as Nice and Cannes where you can throw down your towel for free. Ryan! Over here! Kristen, look this way! Where’s the party? 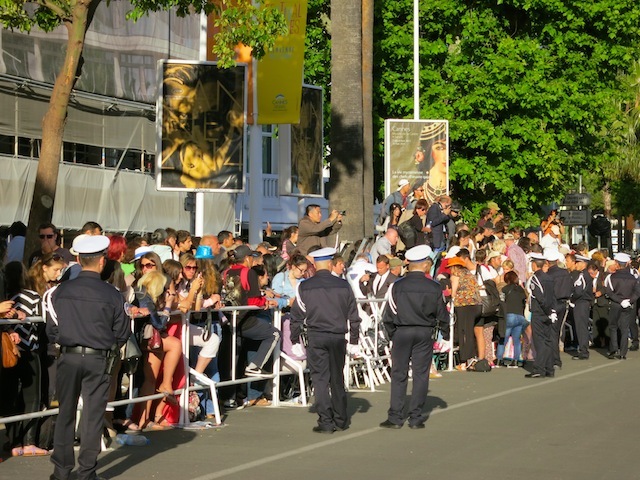 After spending time at the Cannes Film Festival, I’m convinced that there is no higher concentration of the endangered species known as A-List celebrities than at Cannes during festival time in May. The only places better for star spotting during the festival are the Hôtel du Cap-Eden-Roc, a luxury hotel in Cap d’Antibes, or you can take a day trip to Monaco for the Grand Prix in late May. 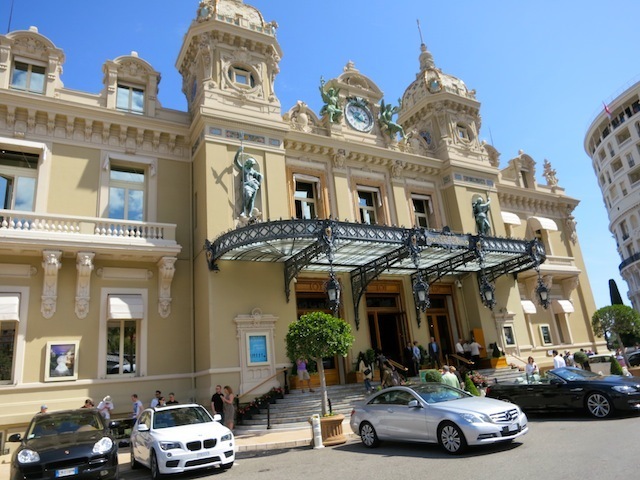 For a real taste of high life, read my Things to do in Monaco, jet set style. 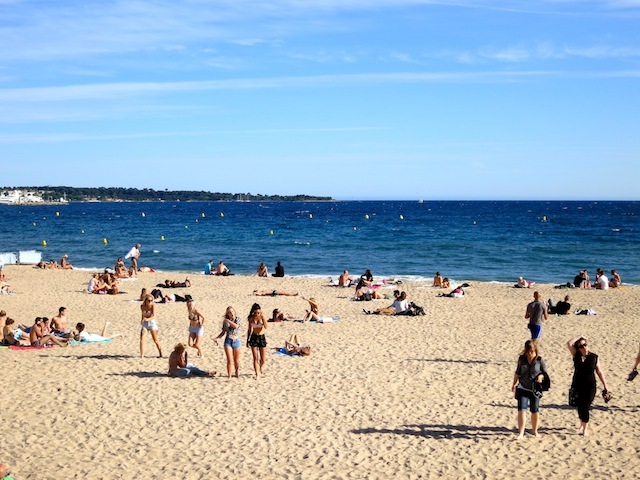 The French Riviera is rife with festivals, and one of the most lively things to do in the South of France is to check some out. Aside from the beyond-crazy Cannes Film Festival, some of the top fetes are the Fête du Citron in the lemon-loving town of Menton in February, the Jasmine Festival in Grasse in August and Grasse’s Rose Festival in May. The number one France festival on my list? 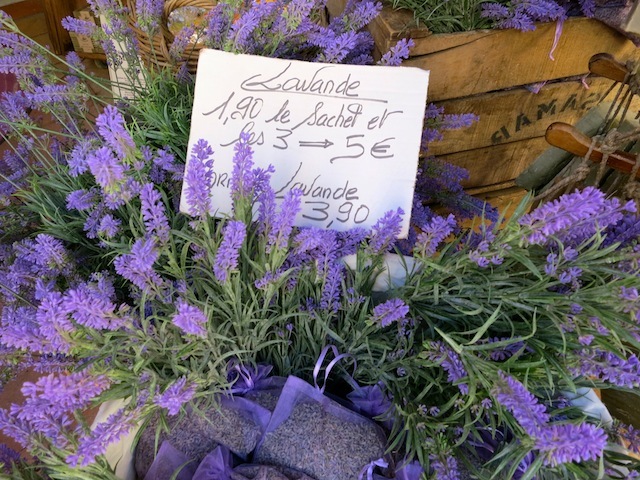 The Lavender Festival in Digne-les-Bains in August, a town that truly knows how to celebrate its own soil. 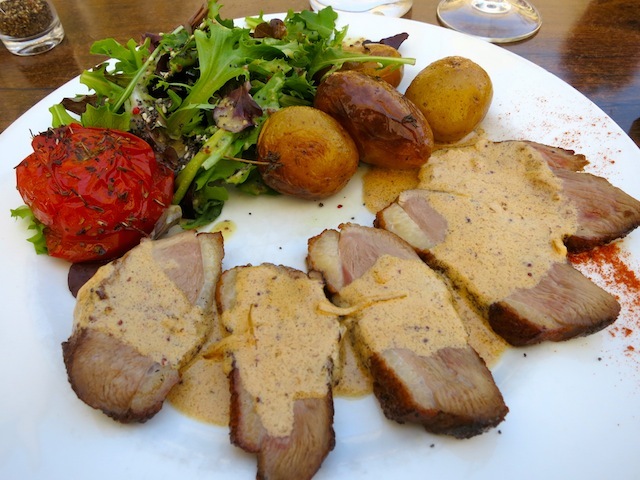 Best places for eating in the South of France: Just about every town will have some fabulous restaurant. Oh, how you can eat on the Côte d’Azur, hopping from swanky Alain Ducasse restaurants in Monaco to colourful markets like the Cours Salaya in Nice. Budget tip: If you want haute cuisine, but need to watch your euros, opt for a restaurant’s Menu – a 3-course set meal; the Formule – a two-course meal; or un Plat – the dish of the day. If you have a vacation rental, you can make the best of the markets and stock up on charcuterie, rich juicy melons, deliciously runny cheeses and wine. Another how-to-eat-well-on-a-budget price cutting tip: Save the fanciest restaurants for lunch when prices are cheaper and opt for un carafe d’eau, which means a pitcher of tap water, rather than bottled water. It’s perfectly acceptable. 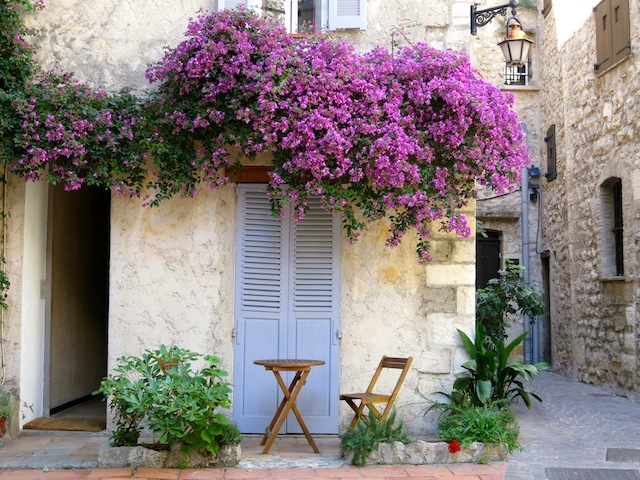 Best places for renting: If you don’t have a car – and you don’t need one in the South of France – Nice, Cannes and Antibes are good choices. With a car you can venture farther afield to places inland or even in the mountains of the Cevennes. Vacation rentals are all the rage on the French Riviera, where else can you get a private pool and bedrooms for 20 friends? While it’s a superb way to indulge in the extreme lap of French luxury travel, French vacation rentals also work for the budget minded because they can be much cheaper than hotels. Even if you wouldn’t dream of staying up past midnight at home, there’s something about the South of France that makes you want to linger outside. 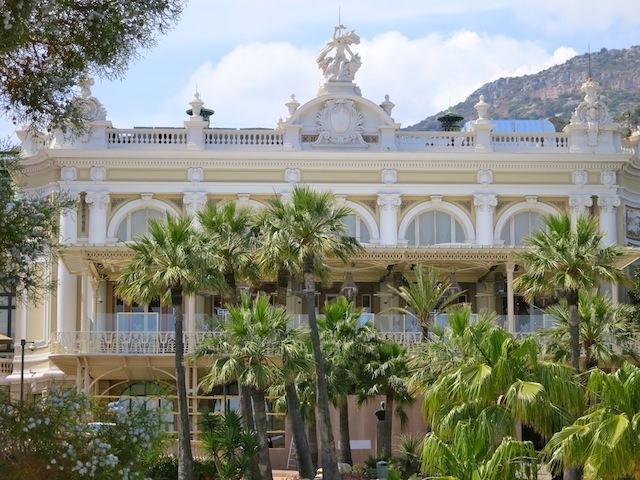 From the celebrity-favoured nightclubs such as Gotha, Le Baoli and Nikki Beach in Cannes to the James-Bond-approved Casino de Monte Carlo, there’s always some excuse not to go home. Seriously. Hotel hopping is one of my favourite things to do in the South of France. This region has the star-studded luxury hotels such as Hôtel du Cap-Eden-Roc in Cap d’Antibes; the art-filled Negresco in Nice; the swanky Carlton Hotel in Cannes and the atmospheric Hôtel Belles Rives in Juan les Pins (where Zela and Scott Fitzgerald frolicked back when it was still a private villa). The Riviera is a region that specializes in luxe moments, and stopping into hotel bars for a glass of champagne can be a full-time Olympic sport. I should know. I’ve spent many hours in training. You have to work off all that food and drink somehow, especially if you plan on heading to the beach. 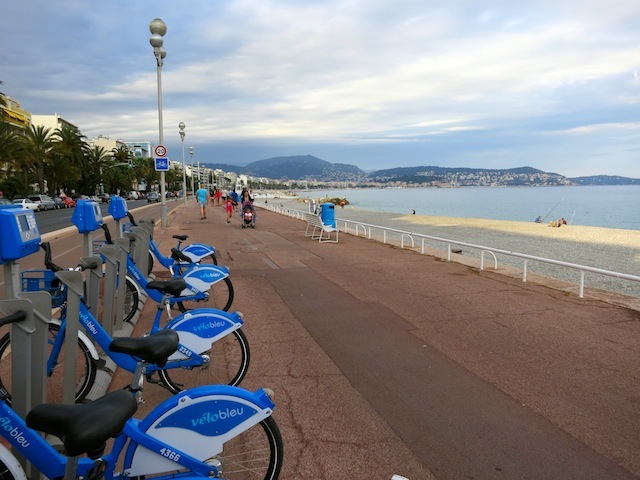 I’m completely enamoured with the Vélo Bleu bike share program in Nice – and once I finally figured out how to sign up, I sped up and down the Promenade des Anglais every day. There are kilometres of paved trails in this active city, and cycling is a great way to get around. 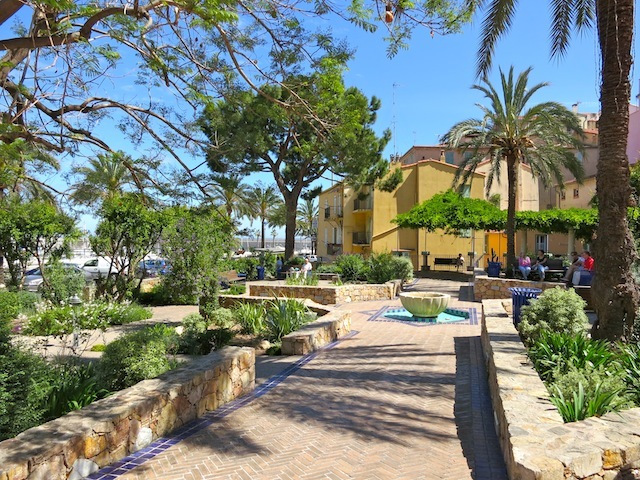 I even cycled from Nice to a shopping mall in the town of St Laurent du Var (you can, too!) and to the Nice Airport to pick up my husband when he finally flew in to join me – though with his luggage being quite heavy (filled with all the books and pairs of shoes I’d been unable to fit into mine) he quite wisely insisted we take a taxi back. Or try hiking. The ambitious can try Nietzsche’s Path, the trail from the hilltop town of Ez down to the coast, while the unambitious can content themselves by strolling up and down the ritzy Croisette in Cannes or the Promenade des Anglais in Nice. 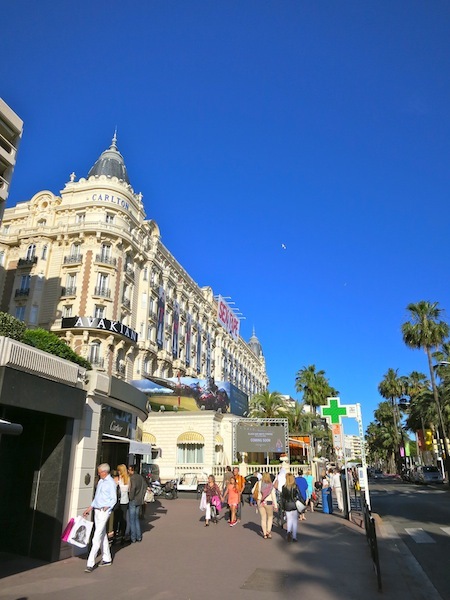 Stroll down the Croisette! Buy me! Go broke! 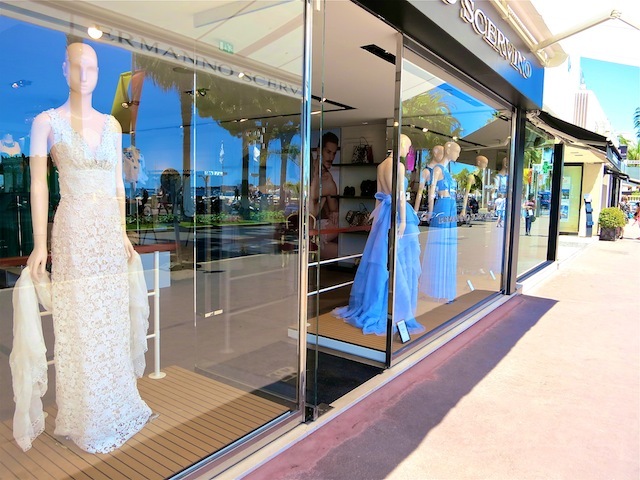 If the price tags of the Dior dresses on the Promenade de la Croisette in Cannes don’t have you weeping into your empty pocketbook, shopping is one of the most adrenalin-buzzy things to do in the South of France. If, like me, however, you spent all your money on champagne in Monaco, don’t despair. Buy me! This you can afford! 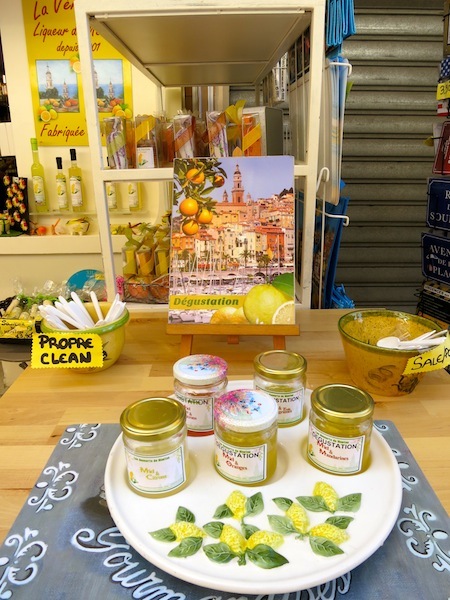 You can turn your attention to more affordable artisanal souvenirs such as lemon-infused olive oil in Menton, perfume in Grasse, hand-blown glass in Biot and lavender in the market of Antibes. Looking for things to do in the South of France that are off the beaten autoroute? Savvy South of France fans head to the less touristy region of Languedoc-Roussillon, a land rich in wine tourism and peppered with historic towns such as Narbonne, Carcassonne, Minerve and Pezenas. For something different try a luxury barging cruise on the Canal du Midi, one of the most seductive forms of slow travel you can find. There. Have I convinced you on the blinding beauty of the South of France? Excellent. Let’s all start planning our retirement wardrobes now. You can borrow my bright orange mini if I can borrow your plum-coloured Herve Leger bandage dress. It will go perfectly with my cleavage wrinkles. PS: Totally lying about giving up the pretty boys. 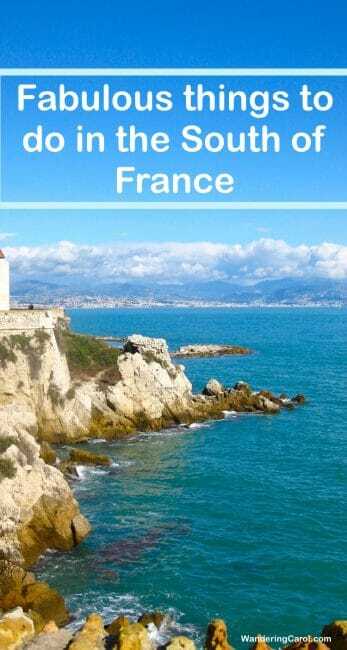 Read more: Visit my South of France Tag Page for more travel blog posts about the South of France. For more on travel to the French Riviera visit the Côte d’Azur tourism website. 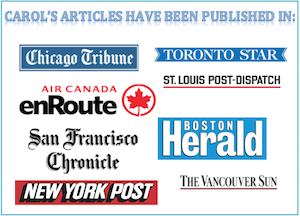 Read more: about Top Destinations in Europe. The South of France sounds like it’s to die for…no wonder you’re looking to retire there; maybe I’ll retire with you!! :D I finished with my backpacking days a few years ago, so I’m really starting to appreciate luxury travel experiences and this sounds like one of my best bets. I would add one more thing: go on huge walks and take tonnes of photos. It’s such a beautiful part of Europe! It’s one of those regions you hear about since forever if you’re into fashion, art or entertainment. And you proved that it’s a time-tested destination for mere mortals as well. I’d love to create a champagne crawl from swanky hotel to swanky hotel! It’s a deal! I’ll retire to the south of France if you will. That bright orange mini will go perfectly with my orthotic shoes. Oh my those dresses! My credit card would have a lot of fun there! When I lived in France we went to the South of France quite a few times and absolutely loved it.